Most roofs need to be replaced every 15-30 years, and if you know you are getting towards that time, this could be a stressful project to begin on. 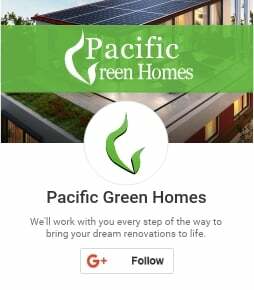 The professional team at Pacific Green Homes is here to walk you through every step of your roof replacement or other home renovations in Los Angeles, and look forward to discussing everything from material options to your budget. Depending on the size of your home, complexity of your roof, and materials you choose to use, the cost of your roof installation can vary. Contact us today for a free quote, and learn more about the different options below. If you need to repair an existing roof, your costs will be less than a full replacement. If this is the case, speak with our team today to discuss your roof repair costs for a Los Angeles home. Below are factors that will affect costs regardless of repairs or replacement, but keep in mind that replacing a roof is the most expensive option. Since home sizes vary greatly, the cost of your roof will vary depending on this factor. Smaller homes cost less for a new roof, whereas large mansions have much higher costs for roof installations. This is because it increases the cost in everything from the amount of material to the amount of labor required. A major contributing factor to the cost as it relates to pitch is whether or not the roof is walkable. If your roof is pitched to steeply for the roofers to safely walk on, there will be additional costs for setting up and breaking down the staging to keep the workers safe. In addition, the pitch will affect other issues such as fire codes and other building laws that vary based on the steepness of your roof. Asphalt shingles are the most common type of roof materials because they are inexpensive, and simple to install. If you have decided to use a material other than asphalt shingles, you will pay more for material costs as well as any additional labor required to install it. If you choose to use tiles, or wooden shingles, there will be a greater installation cost as well as material cost. Discuss your options and budget with a professional to get a better understanding of the costs and benefits of each material. Some roofs will require additional layers based on zoning and building codes. In this case, you will be paying for additional materials as well as additional labor to install each layer. As with all roofing costs, this is a case-by-case basis and is best left for a discussion with a professional team. If your roof has a lot of skylights, chimneys, gables, or other variations to a standard pitch, then this will require the roofers to do more work while accommodating these differences. In addition to cutting the shingles to fit, they will need to add additional flashing to the edges to ensure they the roof stays watertight, and will need to give extra care to every spot that could pose an issue down the road. The average wage of a roofer in Los Angeles is around $25 per hour, which can really add up. As you can see from the factors above, labor is affected by every variation in a roof. If a roof is simply two sides, with a standard pitch that didn’t require additional staging or scaffolding, then the job will require basic labor for a standard installation. Since this is generally not the case, each unique thing about your roof will add more labor requirements, and therefore an increase to price. An experienced roofer in Los Angeles such as the team at Pacific Green Homes will be able to set your expectations early for what to expect during your roof repair or replacement. If you are ready to make repairs or completely replace your roof, speak with us today to determine your roofing costs in Los Angeles. We look forward to hearing from you, and providing you with quality work.